You have made a choice to improve your hearing, but what now? As a smart healthcare consumer, you’ll want to think about a few things before you make take the next step and buy. Hearing aids come in various brands and styles, so finding out more before you buy is just smart. They come in so many different shapes, sizes and with features that will seem confusing to you at first. Each variation changes the final hearing aid cost, too, so it’s all matters when you shop. Consider 10 things you need to think about before buying hearing aids. Don’t let the tiny size of some hearing aids confuse you. Small hearing aids are compact and stealth, but the better choice for some people. It appears as if that tiny device can’t really be as effective has the chunkier ones, but the mechanisms in the small hearing aids are just as effective. Hearing aids cost money, so shop for styles that provide more than just a tiny speaker. Consider the different features offered, so you know you are getting the ones are right for your lifestyle. Think about what you want to accomplish with the device, too. Start by making a list your priorities and carrying it with you when you shop. This will help you pinpoint your personal needs. There is a real difference between the way you used to hear things and the way you’ll hear with a hearing aid. Make sure your expectations are practical. Even good hearing aids will not restore normal hearing. Maybe you won’t hear things the way you once did, but, even so, the hearing aids will make your life better. You will hear what you were missing before, understand speech without working so hard and keep those background noises from becoming uncomfortably loud. A hearing aid is not something you pick up off the shelf or buy off the Internet from a big box store. Find a professional provider and let them help you select the best hearing aid for your life. 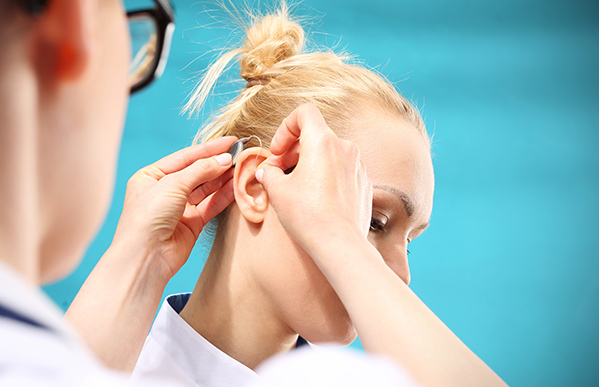 This will pinpoint the cause of your hearing loss and be instrumental in finding the right hearing aids for your condition. Not all types of hearing loss will benefit from the basic hearing aid, so go into the buying process with all the information you need to make an informed decision including a professional hearing test. The hearings aid cost requires you to be a smart consumer. It’s an investment, so make sure to try the hearing aids out first. The in-store demonstration ensures you know how all the features work and how to make adjustments as needed. If possible, get a trial period, as well, so you have a chance to use the devices in a real world setting to make sure they fit properly. Things like directional microphones and telecoils are necessities in some careers and wireless technology means you can use phones with your hearing aid without having to resort to always using the speaker. Along with a 30 to 60 day trial period, you need to fully consider the warranty, maintenance choices and follow up appointments that come with your purchase. Ask for a written copy of the contract and read the fine print to see if there are hidden costs or nonrefundable fees. Small, compact hearing aids require small batteries that may need replacing often. Some will last just days and that will factor into the cost. A larger unit is less stealth, but possibly more cost-efficient. Take your time when shopping for hearing aids, so you make the right choice at the right price for your budget and lifestyle.